FENDI enlarges the Selleria family, pure expression of the Maison’s luxurious and highest craftsmanship, with a new exclusive bag: Lei. Tradition meets modernity thanks to the treasured hand-made manufacturing techniques of the FENDI artisans, heritage of the Roman master saddlers yet with a new design and use of details and colors. The result is an exclusive boston bag caracterized by a modern design and realized in the precious and iconic Cuoio Romano leather. 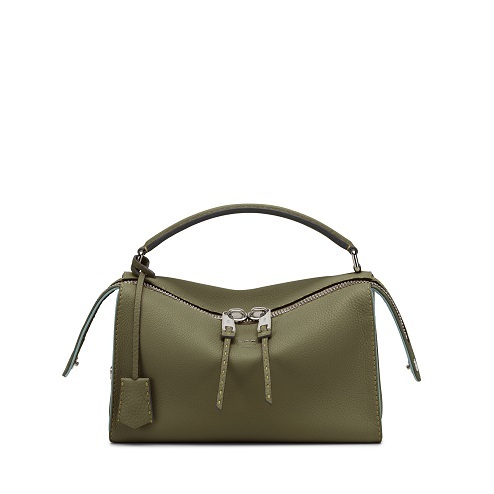 The Lei bag is ready to fascinate the sophisticated and urban women that love the unique handmade workmanships and looking for refined details for a timeless feel. Entirely hand-stitched, the Lei bag presents an innovatively compact shape yet so soft that while folding almost seems like it is smiling at you! A contemporary touch is given by three small metal iconic Selleria stitches in the front, in representation of the Roman manual craftsmanship art. 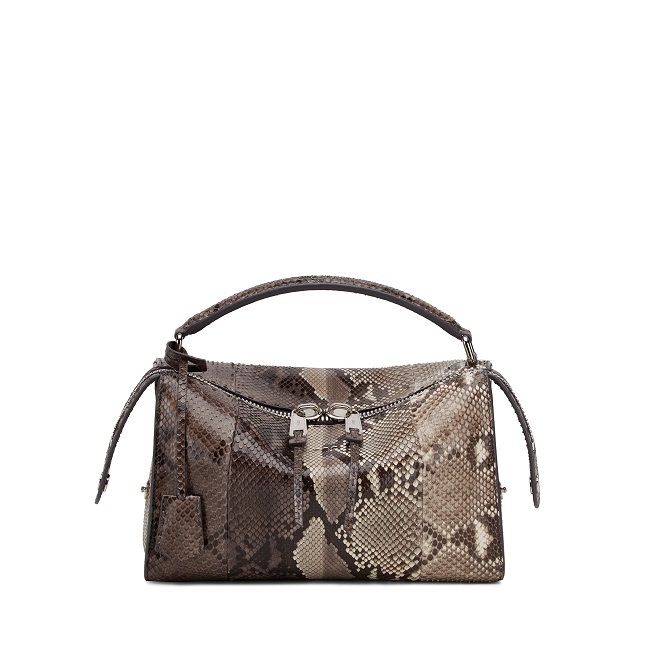 Available in sophisticated colours like green, milk and grey, the bag is yet also proposed in cool and edgy silver and a unique exotic python version. 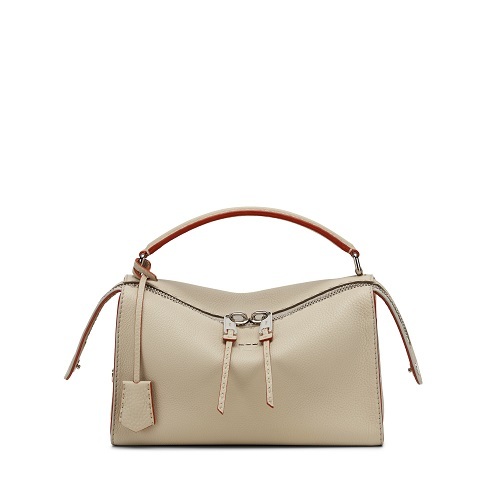 The Lei bag features both a short handle and a matching Strap You shoulder strap, for a practical double carry. The final touch is the classy bag tag with stitched details.